This Internet of things project describes how Arduino sends a push notification to Android smartphone. 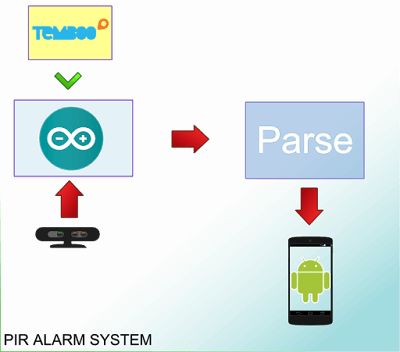 As the example, we will build an alarm system based on Arduino and Android, this is an interesting example of Internet of things (IoT) and the aim of this project is building an alarm using an infrared sensor (PIR) connected to Arduino board that sends push messages to Android smartphone. This project mixes different technologies and platforms and we make them working together! 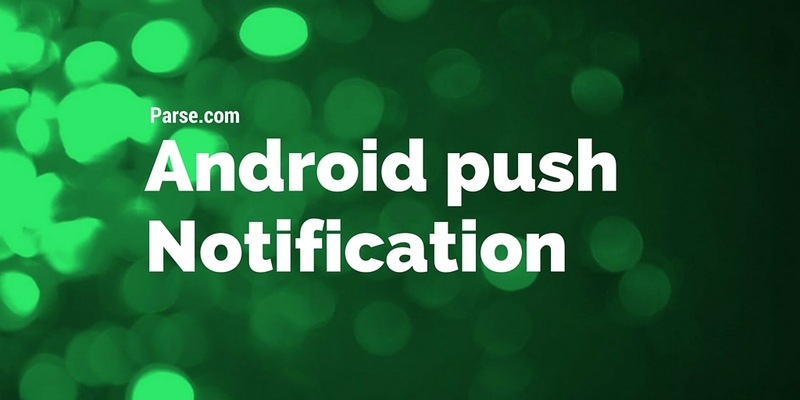 Moreover, Google Android push notification is a service used by developers to send data to Android apps as soon as the data is available: in this way Android app doesn’t have to make requests to the server to know if new information is available. Using Android push service, apps can save smartphone battery and reduce the network traffic: the user experience is also improved. 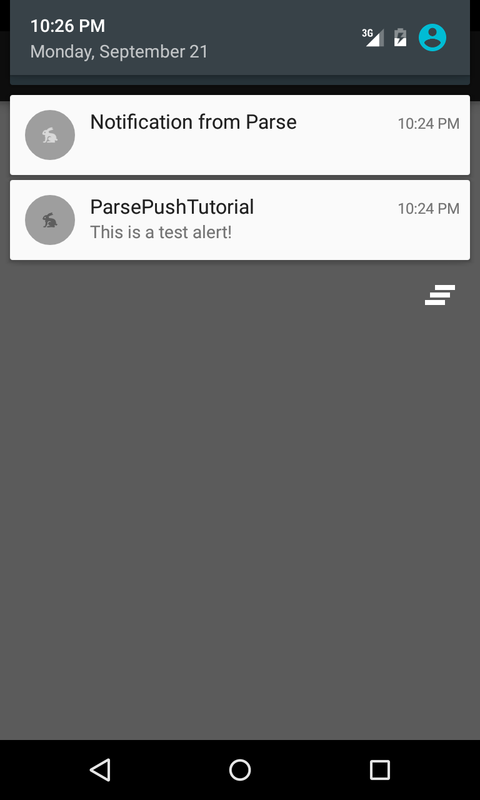 There are several different methods that can be used to implement Android push messages, the standard way is using GCM (Google Cloud Messaging) but there are some alternatives very interesting like Parse.com, that is easier to use. By now you use the default receiver provided by the library, in the next paragraph, you will see how to customize it. Please be sure that the emulator includes Google API. and override the onPushReceiver so that it is possible to implement the app logic when the message is available. 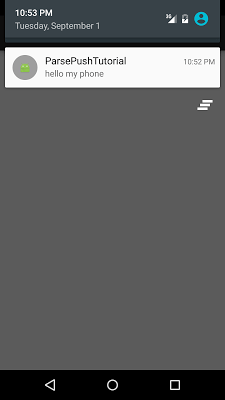 Once the message content is available and extracted from JSON message, the app notifies it to the user using NotificationCompat and NotificationManager. 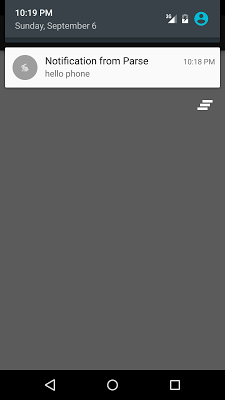 Notice we have customized the notification icon too. Before diving into the IoT project where Arduino sends push notification, it is useful to describe these two platforms. Temboo is a platform that has a set of “connectors” that can be used to exchange data with other platforms or service providers (i.e eBay, Yahoo! Weather, Google and so on). The interesting part of Temboo is that it is compatible with Arduino board, so that these connectors can be exported on Arduino. 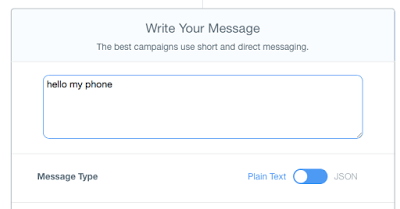 Parse.com is the platform we used in the last post to send android push messages. As it is clear, there are several parts that build the IoT project. The first part is Arduino board with PIR sensor that is used to detect movements. Arduino runs a Temboo agent that sends data to Parse platform. This agent is triggered when one of the Arduino digital input gets HIGH. The Temboo platforms is used to create the agent without writing too much code lines. Using Temboo choreo, Arduino can send JSON data directly to Parse.com that in turns send a push message to our smart phone. The first step is setting up the Arduino sketch that uses PIR sensor and testing it. This step is very simple, we have to connect the sensor to Arduino board using three wires: Power, Ground and Signal. The sensor is very simple, the output gets high when it detects movements. For this example, we can suppose it is connected to digital pin 8. Now runs the code and move your hand in front of the sensor and give a look at the serial monitor to check if it works! Now the Arduino component is ready! We are ready. If you want you can try to send a notification from Temboo to Parse.com. At the end, Temboo will create the Arduino code ready to use!! Finally, copy and paste the code into your Arduino IDE. 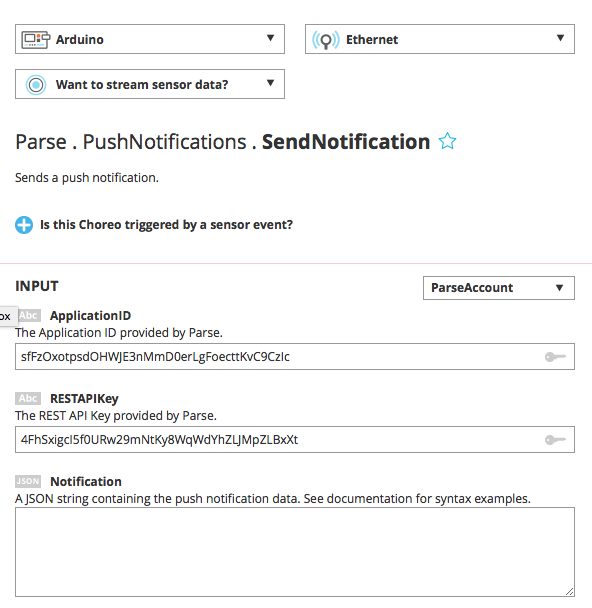 Temboo requires we use a Parse channel to send our notifications. 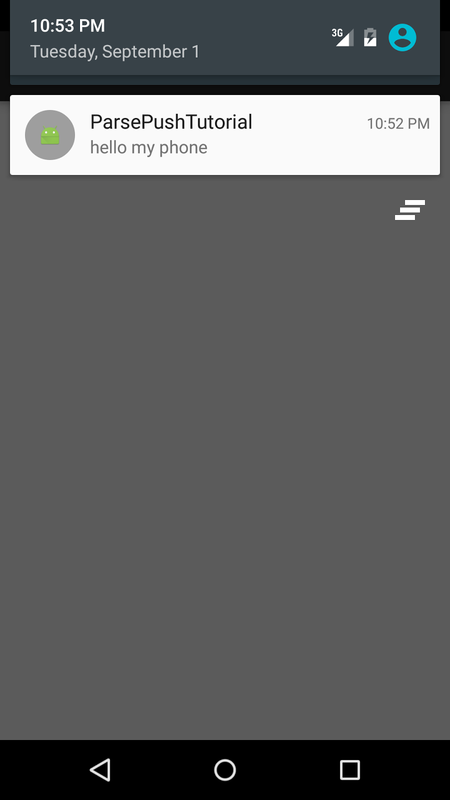 We have then to modify our Android app to use a channel to listen to incoming notification. 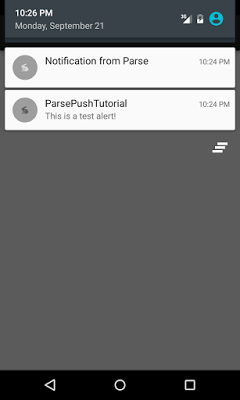 If you don’t know how to write an android app that handles push messages you can read my previous post describing how to send android push messages with Parse.com. where temboo is the channel. We are ready!! Runs the app and move your hand near the sensor, Arduino will send a push message to the Android smartphone!! 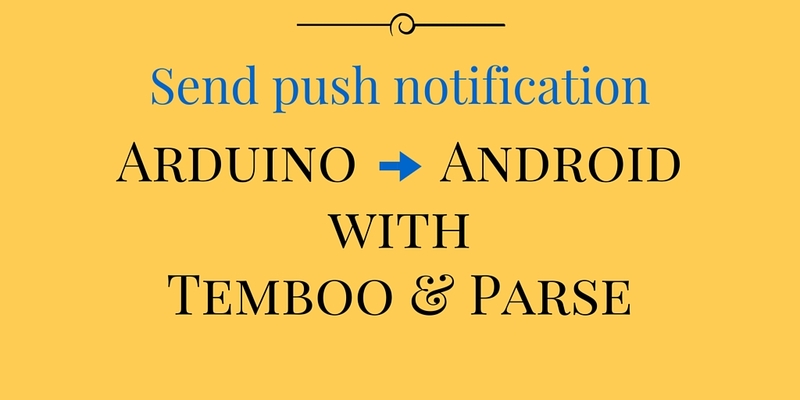 At the end of this post, you know how to build an IoT project where Arduino sends push notification to Android and how to integrate these two ecosystems through Temboo and Parse.com.